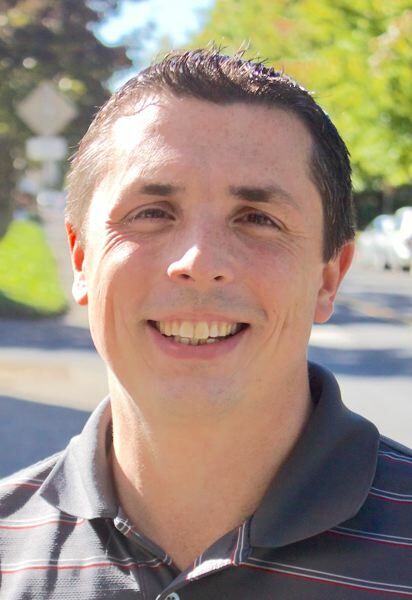 John Bildsoe says Paul Drechsler is the better candidate in the race for Gresham City Council Position 4, and he says The Outlook was wrong in its endorsement of Ryan Johnson. Voters should be concerned that The Outlook has chosen to (just barely) endorse one candidate over another because that candidate has "… a good handle on how the city functions and the big issues faced by the City Council"
This conclusion seems to be based on two oddly vacuous assumptions about Ryan Johnson's understanding of city government because he "… volunteers as chair of the Gresham Community Development and Housing [GCDH] subcommittee, and he's a member of the Gresham Redevelopment Commission [sic]…." More disturbingly, an implication is made in The Outlook endorsement that Paul Drechsler may have a 'hidden' agenda that Johnson lacks. I hope the Gresham Outlook staff will clarify ford its readers why a news outlet would insinuate Drechsler has a hidden agenda. Or is there a different 'hidden' agenda? As I understand it, most of the Community Development and Housing Committee meetings during Johnson's tenure have been cancelled or deemed unnecessary. That subcommittee has met only once or twice since he volunteered to become a member about a year ago. Drechsler, on the other hand, needs to prepare for and attend monthly — sometimes bi-monthly — meetings as chair of Gresham's Planning Commission. He is in his second three-year term on the Planning Commission. Contrary to The Outlook's endorsement article, Johnson is not a member of the Gresham Redevelopment Commission. He is a member of the commission's advisory committee. This particular committee is supposed to meet monthly, but there have been only one or two meetings in recent years because no new business has come to the table. Drechsler is also on the Gresham Redevelopment Commission Advisory Committee. Drechsler chairs the commission's budget committee. Drechsler has been active on the GRDC-AC for two three-year terms. Johnson joined the advisory commission in 2017. Shouldn't a candidate really prove him or herself before before taking on the tasks and responsibilities of council leadership? I hope your readers will give consideration to Paul Drechsler's longer tenure in as a Gresham resident; longer and demonstrated leadership on important city of Gresham civic bodies; and broader small business experience — especially in the demanding markets of Rockwood/West Gresham. And I look Fordward to Gresham Outlook's broader explanation about hidden agendas. Land Use Chair, Rockwood Neighborhood Assn. Land Use Chair, Northwest Neighborhood Assn. Vice President, Coalition of Gresham Neighborhood Assns. EDITOR'S NOTE: The Outlook has not suggested that Paul Drechsler brings a hidden agenda to this election. Our comment was specific to Ryan Johnson, that he does not have a hidden agenda, which is something that we appreciate about him, or any candidate for that matter. Like we said in our endorsement, Drechsler would make a fine city councilor. The city would be well served by Drechsler or Johnson. Our endorsement went to Johnson.